The most recent addition, and the one the prompted this post, was Travis. I'm a TeamCity guy and have been for years. I managed the TeamCity server for CodeBetter for many moons and on a recent project, had 6 agents running a suite of UI tests in parallel. 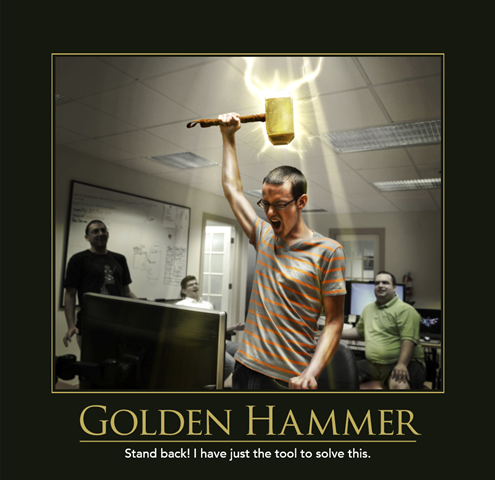 So when I finally got fed up enough with our deploy process (one can type `git pull origin source && rake site:publish` only so many times), TeamCity was the first hammer* I reached for. Twenty minutes later, I had my first passing build which only built the website. Less than an hour later and our dream of continuous deployment is done. No mucking with gems, no installing frameworks over RDP. I updated a grand total of four files: .travis.yml, _config.yml, Gemfile, and rakefile. And now, whenever someone checks into the `source` branch, I am officially out of the loop. I had to do virtually nothing on the CI server itself, including setting up the Slack notifications. Is there a lesson in here for others? I hope so as it would justify me typing all this out and <s>clicking publish</s> committing to the repository. But mostly, like everything else, I'm just happy to be here. As I've always said, if you've learned anything, that's your fault, not mine.